Stepping foot on your college campus your freshman year is one of the few moments in your life where you will experience a full-on swarm of butterflies in your stomach. It is such a surreal time where you get to meet new people, live somewhere new, and basically start fresh with only the highest of expectations in mind for the next four years to come. It has been said that your college days fly right by before you know it, but they will come together to be the best four years of your life. Hopefully, by the time you graduate you can agree with that. 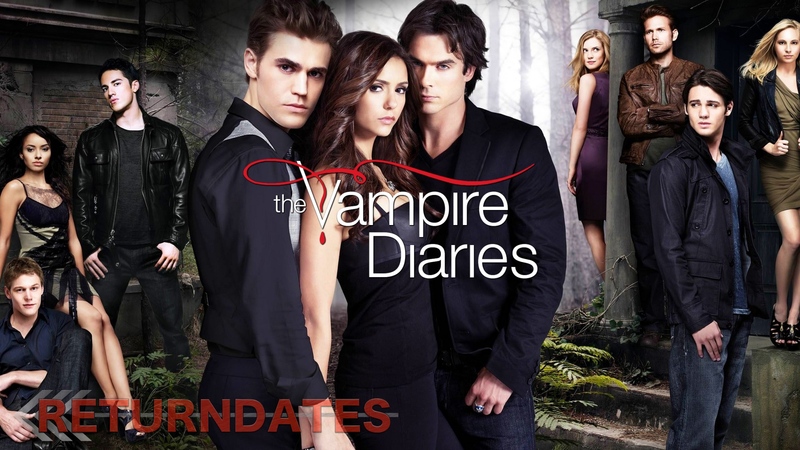 All of the characters of the CW’s series, The Vampire Diaries, are representative of the many different emotions and experiences that college students encounter during their four years on campus. Therefore, here are 12 moments in The Vampire Diaries that show the emotions and experiences college students undergo while living that college life. 1. When you have to give your roommate the ground rules after a mishap. 2. When you finally find your best friend or squad. Also, when you see that you and your best friend have a class together. 3. Pre-gaming on your walk to the party. 4. And then...when you get to the party. 5. Sometimes, you are just SO sick of hearing the same person comment and ask questions about everything said in your 9 a.m. lecture. 6. Before you realize that your college really isn’t as “safe” as you thought. 7. How you feel while reppin’ the “groutfit” to the 8 a.m. and probably even the 2 p.m.
8. When you go to study on the QUIET floor of the library and people are either talking, blasting their music in their headphones, or crunching chips. 9. When you bomb a test or forget to turn in a homework assignment. 10. When you accidentally find yourself developing a crush on a senior way out of your league. 11. When you didn’t go to class and need to know if the assignment is due tomorrow. 13. When you see the person you matched on Tinder with while walking through the dining hall. 13. When you just have to let it all out after the stress from schoolwork, relationships, and life in general just get to you. 14. When you finally get free from the semester with the worst professor you’ve ever had. 15. When you have a professor who shows up ten minutes late every day. 16. There’s always that one guy. 17. When your professor assigns an essay that wasn’t listed on the syllabus. 18. When you finally walk up to receive your diploma thinking, “Oh yeah, I did it." Hey, I'm Corbyn Jenkins! I am a Junior at Gustavus Adolphus College majoring in English & minoring in Film & Media Studies. In my free time I enjoy art, photography, exploring, going to concerts, and spending time with my friends and family.